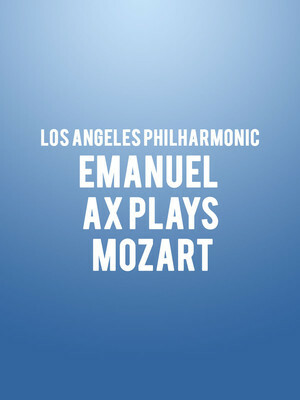 Why See Los Angeles Philharmonic - Emanuel Ax Plays Mozart? The Los Angeles Philharmonic's Conductor Laureate Ess-Pekka Salonen returns to the Walt Disney Concert Hall with an intriguing program of works by Mozart and Beethoven, which sandwich a stunning world premiere work by modern minimalist composer Louis Andriessen. To top it off, the ensemble welcomes Grammy-winning American piano icon Emmanuel Ax and Dutch soprano Nora Fischer to the stage for the trio of effervescent pieces. The program begins with Mozart's fanfare-laden Piano Concerto No. 22, during which Ax and Fischer will join proceedings for the concerto's resplendent orchestral color, leaping melodic lines and intricate passage-work. 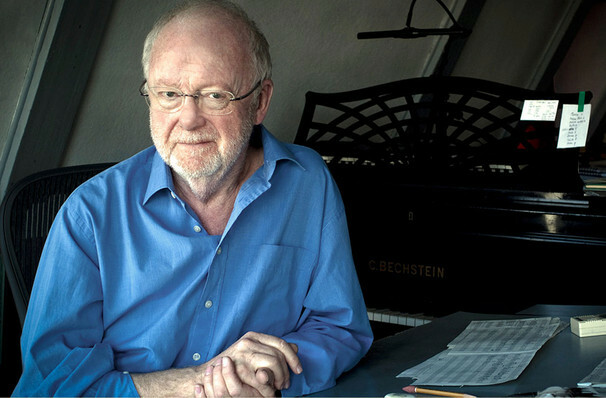 After a brief intermission, things continue with Andriessen's Only One, a LA Phil-commissioned work that heralds a host of new material from the avant-garde boundary pusher. The evening comes to a close with Beethoven's Symphony No. 1, a Mozart and Haydn-influenced piece written when Beethoven was just 25 years old. It heralded great things to come for the young genius! Sound good to you? Share this page on social media and let your friends know about Los Angeles Philharmonic - Emanuel Ax Plays Mozart at Walt Disney Concert Hall. Please note: The term Walt Disney Concert Hall and/or Los Angeles Philharmonic - Emanuel Ax Plays Mozart as well as all associated graphics, logos, and/or other trademarks, tradenames or copyrights are the property of the Walt Disney Concert Hall and/or Los Angeles Philharmonic - Emanuel Ax Plays Mozart and are used herein for factual descriptive purposes only. We are in no way associated with or authorized by the Walt Disney Concert Hall and/or Los Angeles Philharmonic - Emanuel Ax Plays Mozart and neither that entity nor any of its affiliates have licensed or endorsed us to sell tickets, goods and or services in conjunction with their events.